Only one rule: Smash them all before they reach the centre! Between two taps, your finger charges to make the next hit bigger! You should turn your wifi off before you launch the spider smash game. 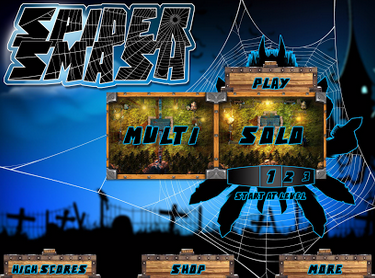 In-case you already open the spider smash app, just force close or use the multitask button and swipe it out.